George is an 8 year old boy that has a rare condition called Centronuclear Myopathy. The condition makes him profoundly weak and as such, he lives on a ventilator, cannot swallow and has a powered wheelchair for mobility. He is reliant on his parents and carers for every single aspect of his daily life. George needs a specially modified car to help get him to school and also to help him go see his friends and family. Visit their Facebook page to find out more. 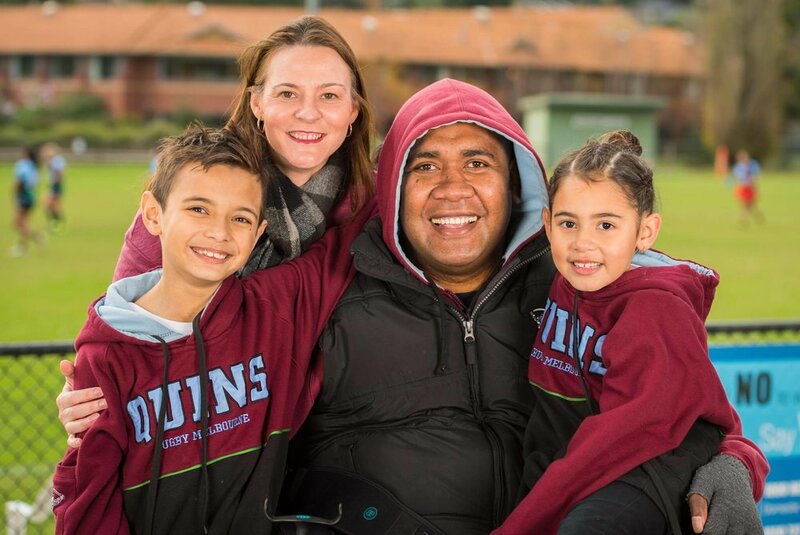 A freak accident in the first game of the 2015 rugby season changed the lives of Maciu Vosa (Matty), his wife Kylie, and their two young children, Ezekia and Ariella, forever. Matty broke his neck after a regulation maul collapsed in general play under the weight of a phalanx of team-mates and opponents and he is now a C4 complete quadriplegic. He has no feeling from his upper chest down, but has some limited movement in his arms. Matty requires 24/7 care, including two carers to get him out of bed and for morning bathing and dressing (a 2 1⁄2 hour daily process). The two carers are also required for his bedtime routines and other activities during the day. This is part of a lifetime management system, which includes special equipment and strategies, and which will continue to evolve according to his needs. Essentially most everyday functions that able-bodied people take for granted are not possible for Matty without assistance. In June 2016, Matty underwent nerve and tendon transfer surgery to try and gain some function in his fingers. Since the operation, improvement has been seen in his right hand, particularly with his gripping. However, as nerves grow very slowly, it will be up to two years before the full benefits of the surgery are realised. He is currently working on strengthening his upper body and core strength muscles. A Trust Fund and Working group has been active since the early days following the accident, raising funds and helping support Matty and his family. All funds raised go towards the cost of building a wheelchair accessible home for the family... the next big goal. This will allow Matty to manoeuvre around the house and give him the opportunity to do the other things we all take for granted. The support of the "rugby family" and the wider community is very much appreciated by Matty, Kylie, their family and the Trust. beyondblue’s mission is to equip everyone in Australia with the knowledge and skills to achieve their best possible mental health, whatever their age and wherever they live. We give people the confidence to support those around them, and make anxiety, depression and suicide part of everyday conversations. And as well as tackling stigma, prejudice and discrimination, we’re breaking down the barriers that prevent people from speaking up and reaching out.